Celebs Have A Smashing Time At Nintendo’s “Super Smash Bros” Celebrity Fight Club — See Photos! November 11th turned into a smashing good evening as Nintendo hosted an exclusive Super Smash Bros Celebrity Fight Club at Bootsy Bellows in West Hollywood. Guests to this awesome event enjoyed food and drinks, plus were able to dress up as classic Nintendo characters in a Super Smash Bros photo booth. 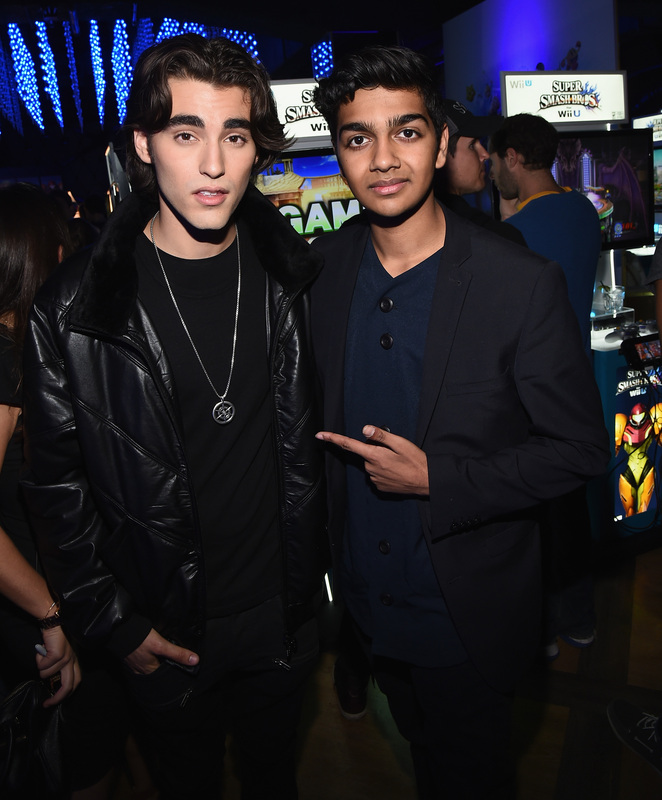 In this place that was transformed into the ultimate smash fest, many attendees such as Blake Michael (shown above with guest), Derek Hough (Dancing With The Stars), David Arquette, Mark Salling (Glee),Chris Zylka (The Leftovers), Zelda Williams among several others battled it out on Super Smash Bros for Wii U as their favorite Nintendo characters in all-new stages. Favorites like Zac Efron, Cody Simpson and others were unable to attend the event, but they were able to join in the smash sensation via social media calling out challenges to friends to #SettleItInSmash! A celebrity tournament commenced where Keegan Allen (Pretty Little Liars), Robbie Amell (The Flash), Brett Dier (Jane the Virgin), Scott Porter (Hart of Dixie) and more challenged each other in amazingly epic battles to see which celeb gamer would reign supreme as the first ever Super Smash Bros Fight Club champion. Robbie Amell’s skills were unbeatable, and he took home the win beating out Zelda Williams and Luke Benward (Ravenswood) in the last two rounds! Check out these “smashing” pics from this awesome gaming event below that include even more of your favorite famous faces! The Ice Bucket Challenge Gets Accepted By Becky G — Watch It Now! Check out her clip below! I ACCEPTED the #ALSicebucketchallenge from @1027kiisfm and @despiertaamericatv 👍 I nominate @jimmydee14 @rahrahmusic @thedoctorluke @planetvi @jakemillermusic @drama @ournameisMagic and @katyperry YOU HAVE 24 HOURS! Tom Cruise And Chris McQuarrie Take On The ALS Ice Bucket Challenge!!! So far we’ve seen a lot of water dumping, money dumping, ice only dumping, and even rice dumping, but we’ve yet to see as much water dumped as Tom Cruise And Chris McQuarrie did earlier. 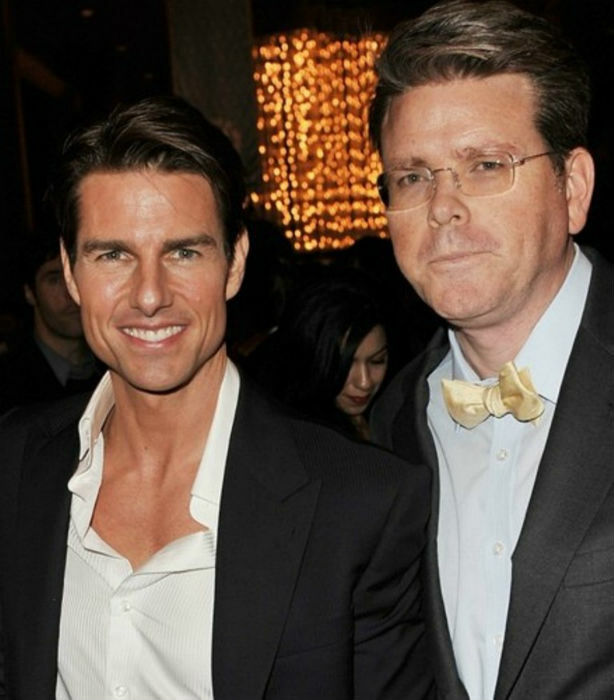 The two are both working on the upcoming Mission Impossible movie (Tom is starring and Chris is directing). Their ALS challenge involved having 5 buckets of ice-cold water poured on each person along with a half on both. The video was uploaded to the Mission Impossible YouTube page, but can also be found below, so watch! 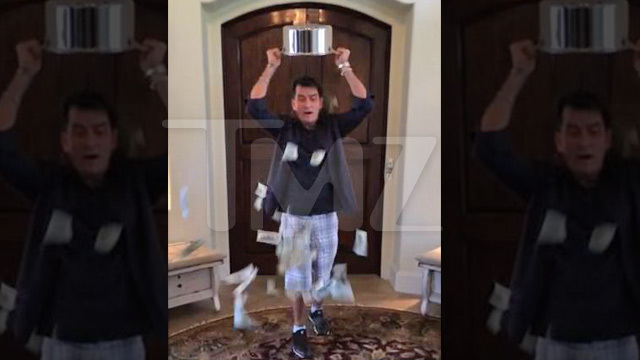 Charlie Sheen Does ALS Ice Bucket Challenge With A Big Twist – Watch Here!!! In the last few weeks, the ALS Ice Bucket Challenge has taken social media and television by storm on a national level. 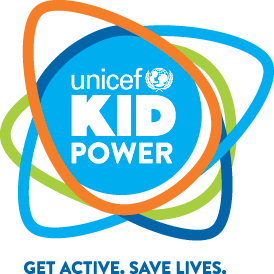 Millions of dollars have been raised along with awareness all around the world for the disease. So far we’ve seen everyone pour ice-cold water on themselves, but Charlie Sheen added a big twist when he did it. Instead, he poured $10k on himself and said he’d donate all of it to ALS. Not only that, but he challenged his 3 nominations to do exactly what he did and famous celebrity Ashton Kutcher was one of the nominations. Watch the video below! Carrie Underwood And Husband Mike Fisher Challenge Friends To ALS Challenge! Several hours ago, artist Carrie Underwood along with her husband Mike Fisher uploaded their ALS Ice Bucket Challenge to YouTube, which was originally made and done on Friday. They took their challenge in a large way by having the water being dumped out of a big front loader. The water was originally ice water but it melted, turning it into (VERY COLD) regular water. The video can be watched below! Dig The Vamps’ New Look? Check It Out Here! So, what do you think of The Vamps new look? Is it not enough or already way over the top? Maybe a new hat would do the trick? Okay, okay, we’re done teasing the guys. From the shared Instagram pic above, it seems another #VampsVsCrew challenge didn’t go as expected. The guys sometimes do fun challenges against their crew and the loser pays the price. This challenge was special though as it was in honor of their manager, Joe O’Neill’s birthday. We’re sure you can see what happened to the non-winner of this challenge. Despite the awkwardness, The Vamps were good sports letting the crew dress them in new outfits. What do you guys think of this crazy new look for The Vamps? 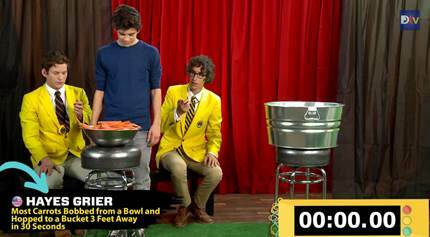 RADIO DISNEY: Boom Clap Game With Charli XCX — Watch Now! 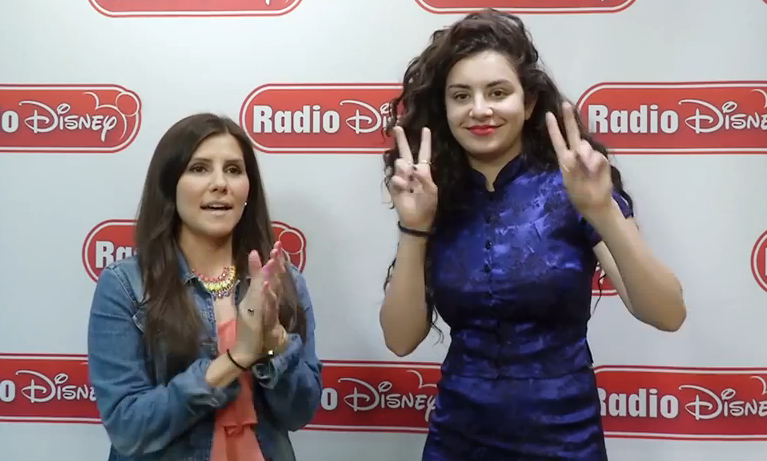 British artist Charli XCX joined Radio Disney personality, Candice, for a fun game in the studio recently. Candice sets out the challenge to Charli XCX for a sound effect gamed called the Boom Clap Game in reference to Charli XCX’s new single, “Boom Clap”. Charli XCX starts the game with Boom Clap and adds her own sound effect, while Candice has to repeat and add her own as well. The game goes back and forth until someone wins. Who wins in this game? Find out in the video below and maybe try your own style of the Boom Clap Game and tell us how it goes!